 Public Statement of the Archbishop of Tuam, Most Rev. Dr. Michael Neary, with regard to the claims and works of Mrs. Christina Gallagher and the ‘House of Prayer’ at Achill, Co. Mayo.In June of 1996 I constituted a Special Committee of Enquiry for the purpose of carrying out an investigation into the claims and work of Mrs. Christina Gallagher, resident at the ‘House of Prayer, Achill Sound, Achill, Co. Mayo in this archdiocese. The Committee, composed of two priests and a religious sister, has recently submitted its report. In the light of this report, and after due reflection and consultation, I wish to make the observations and announce the provisions listed below. Copies of my public statements are available on tuamarchdiocese.org/news.